Thanks TA for the link. I was backpacking up in Asia for much of 2009 and had limited access. I can see I did leave a question unanswered there. Regarding the MalSealy bike it is interesting that he was given two dates. I would think Jan 1967 is fine as that would tally with the castings and stampings. 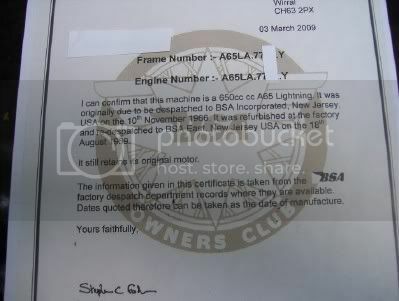 He did say that was a manufacturing date, the Dating Certificates haven't been saying exactly that but allude to it. The second date is too early (I think) to be that of a second bike sharing that same number. In this case that machine may have been part of a second export. I am not sure what to make of it really. The Aprophet bike is a 1969/70 Y bike. I will have to look into that a little further as I am unsure if I answered him. He may even own a 1969 model Y bike. I thought the MalSealy dates were very interesting, another little piece of the puzzle. He doesn't mention refurbish, or re-despatch, which may be a bit of a blessing. It sure would be nice to have a picture of the certificate so we could see what the exact wording is. Based on what he has mentioned the bike would seem to have been held over at the factory, apparently not in a container at the dock! The build date of January 1967 should rule out having to wait that long for parts before they could ship. There must have been some other issue with this bike. The shipping date of June 1968 also seems really late, even if there were parts issues. This was probably a Police or Military order of some sort (gray frame), they may have requested a particular delivery date (just a guess). I believe Gary had mentioned previously that the SA Hybrids were shipped surprisingly late in 1968 as well, April through July. Hopefully Aprophet still has that bike, as you say, it may even by a 1969 "Y". My guess is that you are probably pretty close to the truth here. I would not want to suggest that what they did was illegal though, we have no way of knowing that. The purpose of the whole exercise (the 1969/1970 "Y" bikes) had to be to keep the Accountants/Lawyers/Export Credit Department happy. Another thing could be that the models although shipped few and far between, between 69 & 70 either pre stamped with the Y or stamped by the dealer upon sale of the bike. This would explain why BSAOC uk know nothing of this. I am quite sure that the "Y" was stamped on at the factory, same time as the 1967 number. I would prefer to think they were correcting an issue to keep the Accountants/Lawyers/Export Credit Department etc. happy. Is it possible they had a large number of engine blow-ups in the USA with the 1967 bikes when they were still under warranty? If they had to replace an entire bike under warranty, all the way from the UK, the owner probably would have already received his replacement fairly quickly from the shop where he had purchased it. BSA would probably have sent a replacement to the USA distributor at a later date, perhaps even the start of the next season. No chance it would take two years though. John Healy would be able to tell you the straight goods here, even if you asked him while he was sleeping! These Y bikes possibly went under closer scrutiny on rebuild and which was why BSA were happy to double the warranty period. Not really much chance the "Y" bikes were rebuilds, or refurbished. They would have been built on the regular line along with all the other new bikes. Can't imagine BSA was too happy to double the warranty, even on brand new bikes, as they apparently were paying out a fairly high average per bike on the old warranty. Doubling the warranty period for refurbished bikes would have been ludicrous. That final conclusion comes from a friend who bought a brand new Triumph Bonnie in 67' during warranty it developed a fault, (cant remember what) but it went back to meridian, now he tells me it was worked on by the lads in the competition shop and went under examination to find what caused the problem, anyway it was fixed, but when he got it back, it was like a different bike, quicker, smoother. Whether BSA had the same practice i don't know. I've just been reading Hughie Hancox's book, he gives the impression that was the norm with the Triumph repair shop. BSA was probably similar. The skills of the guys in the repair shop would be a cut above most of the guys on the production lines. Say, you wouldn't happen to live anywhere near this place would you? ...If the owners of the Dash Y bikes are indeed getting two dates on their certificates then we should be wondering. It would be a very good lead perhaps indicating the same number could have been used twice. The '67 dating certificates that I have received have only one date on them; the date of dispatch. They are bikes in the 9000 and 13000 numbered groups and are from Brian P.
Thanks Gary, I realise I may not have worded that one well. If the owners of the Dash Y bikes are indeed getting two dates on their certificates then we should be wondering. It would be a very good lead perhaps indicating the same number could have been used twice. I have not seen a certificate for a Dash Y Lightning or Thunderbolt yet. I am thinking you are referring to Spitfires and Hornets. I think we would expect to see the one date, along the lines of Morgan's certificate. In my line of thought, at the time, I was wondering if we had seen a Dash Y bike dated as being exported in 1967 and then again in 1970. That seems to be the trend for the certificates we have seen for the Y bikes. Now I am thinking A65L and A65T here but they are the bikes with the serial numbers most likely to have been duplicated. I also had to reread the BSAOC version about the Dash Y bikes being marked with a cross at the beginning of the despatch books. I believe they are saying the initial records in the books have been annotated with a cross at the beginning of the number for those bikes that were re-exported. ie, an 'x' marked an entry that had been added to those S/N's transferred to the inside covers. The revised export date. I think it depends on whatever version of the story you may choose to believe. ..I also had to reread the BSAOC version about the Dash Y bikes being marked with a cross at the beginning of the despatch books. All of the pages in the '67 books have an 'X' at the far left hand edge of the page before the frame number on every line. It applies to even the real early numbers long before the 4000's (the oil manifold document). As a result, I am of the opinion the 'X' is for some other unknown production line or documentation reason. Thanks for that one also Gary. This was pointed out to me... (after I was expressing frustration about the myths refusing to die). ...Years ago, a friend of mine bought a BSA without papers & asked me to reference the VIN # for him because he knew nothing about BSA's. I'm not so sure that what I posted above wasn't found on this very site! (at least back then anyways). If it's a myth....so be it. It definitely wasn't posted to misguide anyone intentionally. Sure enough I went to this very website drop down menu and we do have those comments there. I have been expecting the BSAOC to review their wording on the website. Can we come up with some method of reviewing the comments on ours here ? I know Shane and Morgan would be most involved. I believe they did much of the work in setting the website up. Ironically both Morgan and Shane have owned Dash Y bikes. Mike Carter has one, and away it goes. So many of the forum members here are directly affected by those dating inconsistencies. We are also misleading potential buyers and affecting sales. We should be able to substitute suitable, and correct, comments into that Unit Twin Introduction box. Is that possible please Morgan ? Looks like the questionable info was cleaned out back on Nov. 13th 2011. Wrong, now that I've found it, it's obviously still there! So who's got a decent re-write ready to go? Hahha, I am sure we all have in our mind. 1966 'A' series machines started the season with A50, A50B and A50C frame designations with the usual non-matching engine markings. 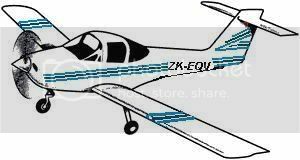 After frame 3200 the engine and frame markings were the same. There was a short period where the engine marking matched the frame marking but the frame prefix was A50. Presumably to use up stock in store prior to the change over. Machines still in stock in the 1967 season (about 1000) were resold in the 1969 and 1970 season. These returned machines are shown with a cross at the beginning of the despatch book record, they then reappear at the end of the book with the revised despatch date. The 1969 models are identified by the adding of an extra 0 at the end of the frame marking putting the number series into the 100,000's. Machines re-exported in 1970 were stamped with a 'Y' suffix to indicate that they were 1970 models and therefore eligible for the increased warranty." This range extended from 1962 until 1972. Prior to 1966 the frames were designated A50, A50B and A50C. The engine numbers would have indicated the model along with a non matching number. Early in the 1966 model year (from Eng 3200 approx) the engine and frame numbers were matching numbers and with the relevant model code. For example A65L 12345. The 1967 to 1969 models were similar (still matching numbers) but with the addition of a letter indicating the model year. A for 1967, B for 1968 and C for 1969. For example A65TB12345 is a 1968 Thunderbolt. From early 1969 season onwards the later style numbering sequence was utilised. This code was the same as Triumph also adopted with the season Month and Year designator added. A50R XD012345 for a 1970 model Royal Star. XD indicating December 1970 model season. Many 1967 model bikes had a Dash Y suffix stamped on the engine number. This was done at the factory to advise the later 3 pipe oil manifold had been fitted. A65HA7731-Y. To add to the confusion the Y suffix was added to other models and seasons also. A large batch of A65SA numbered Spitfires have MkIV physical and styling features. That range is generally of the style A65SA1*****Y. These bikes are 1968 models identical to the A65SB machines. A percentage of 1969 and 1970 manufactured bikes also have the Y suffix. Indeed the numbering sequence is similar to that of 1967 range machines. A65LA12345Y for example. The differences, apart from the obvious styling, are that the frame number also has the suffix and all the engines are stamped on the raised and embossed engine pad. These machines are 1969 or 1970 models. I would like to mention that the 1969 models start at 10,000 so all have 5 digits. Similarly 1970 models all have a zero preceding the sequence number. That is not important at this time. (The 100,000's thing will soon be forgotten). I would just like to put an end to the myths asap. We can't go into detail about the Y bikes because we just don't know at this stage. I have just acknowledged that they exist and how to identify them. I think I know why they were made but I have no proof and I most certainly don't want to start a new myth. You are correct. They are not linked to the 1967 bikes.... hmmm (Apart from being included in the 1967 shipping season books). You are in the BSAOC UK, and on a committee. Your club has Alistair Cave's production records. I think you would have fun reading his 1970 notes and figures. Ignoramus replied on another thread and said he has had his A65L since new in 1971. He has a photo of the bike with 8 Km (miles) on the clock. It is unusual in that it has a '68 style front end on it but it is definitely a Y bike of 1969/70. Many of the guys commenting on this bike thought it was a 1968 or similar. I an wondering if it could be a 1969 Y bike. The owner did say he was adamant that it was a 1967, presumably he was believing the numbers. Last edited by Kevin (NZ). ; 11/25/11 7:21 pm. Yep, but I was looking at the brake cable entry. It is difficult to follow the routing but it does to seem to come down vertically. I still think it is yet another case of confusion and money lost because people didn't know what they were potentially buying. Referring to the '67 production books with the hand entries on the inside of the front and rear covers with dispatch dates in January, February and May 1970, I can now verify the following information regarding those "Y" production numbers. The numbers listed in the inside covers also appear in the body of the book. The numbers in the normal pages of the books had dispatch dates already amended one or more times so there was no room for further entries. Those specific production numbers in the normal pages, which are also listed on the inside front and back covers, are not blank lines. As an example: LA 12212 had despatch dates in 1967 and 1968 on the normal pages in the book, then again in 1970 on the inside front cover. As a result, it suggests that there are NOT two machines out there with the same number (ie. one with '67 features and one with '70 features). Would the LA 12212 despatched in 1967, and again in 1968, have actually been LA 12212-Y in the book? Would the LA 12212 despatched in 1970 have actually been LA 12212Y in the book? I expect that to be the case, hope you can confirm. While they had to be two different machines, I think the 1970 "Y" bikes were only able to be built because the earlier 1967/1968 bikes were not "out there". There must have been some major malfunction with the earlier bikes. Do we have a decent estimate of the actual number of 1969/1970 "Y" bikes? Thanks for doing the research Gary. I am not sure I have grasped this. The way I am seeing it the numbers for bikes despatched in 1969/70 appear on the inside covers of the book, - that then should be the despatch date for a 1970 model Y bike. If you are saying that the same number appears inside the book with other despatch dates then to me the number does not seem unique. I would be thinking that suggests a 1967 bike did exist at some point, unless the line inside was actually added in 1970 also. We know the 1967 bikes still exist because the BSAOC have been writing out dating certificates for them, - albeit trying to say they were shipped on the later date. I think the shenanigans occurred from 1969 onwards.... and without seeing the entries myself I believe it would be too difficult to modify the shipping records of bikes sent 2 or 3 years earlier. I am estimating up to 10% of the A65 bikes exported during the 1970 seasons were Y bikes. That is based only on my experience of how often the numbers are coming up these days. I just draw a different conclusion to Gary. I do see the same production number being used twice. All we really need to see is a genuine 'Y' bike of 1970 with an initial shipping date of 1967... to me that would settle it. It raises the question, - are they even the bikes recorded in the inside covers ? I will need to look back but I think Bruce or John had contradictory details emailed to them. I can see we talked about Bruce's certificate and the email history between himself and the BSAOC Librarian. The emails were posted on this thread back on 20th and 21st November. We do have two shipping dates for a 1970 model Y bike. I don't think that is the case. To my way of thinking we don't know that the 1967 bikes (with the same numbers as 1969/1970 bikes) still exist, I really expect that they don't. A truer statement might be "we know the 1969/1970 bikes still exist because the BSAOC have been writing out dating certificates for them, - albeit trying to say they were also shipped on the earlier dates." I agree. In 1967 a bike with serial number LA 12212-Y, in 1970 a substantially different bike with serial number LA 12212Y. Again, I suspect that the earlier bike no longer existed when the newer bike was assembled. We haven't seen any examples yet of two actual bikes with matching serial numbers, one with a "-Y" and one with a "Y", in existence at the same time. That's impossible, many of the parts for those bikes weren't manufactured until 1969 at the earliest. That makes the most sense to me, 1967 numbers so put them in the 1967 book. No room left in the normal location for 1967 so put them on the inside covers. Well, that is what BSAOC is saying at least. The earlier dates are impossible for most of the parts on those 1969/1970 "Y" machines. As mentioned before, I expect that the earlier of the two shipping dates was for an earlier and different bike, a bike manufactured for the 1967 season. Something catastrophic may have happened to the earlier bike, and a goodly number of it's brothers, which took them out of existence as complete bikes. For some reason, perhaps export tax credits, BSA felt it necessary to build a batch of 1969/1970 bikes and re-use these serial numbers, with the addition of a "Y" on the end, to fill a void left in the tally of 1967 export bikes. Obviously this is a bit of a guess on my part as we don't have enough information at present to come up with a definitive answer, just possibilities and probabilities. I think Gary has provided a very important tidbit with the confirmation of actual 1967 numbers appearing to be used again in 1969/1970. The only difference being the "-Y" or "Y" on the end, I hope Gary can confirm that as well. Ooops, it is just the way I have worded it. We are saying the same thing, - honestly. I will amend this post in a second with my revised wording. Yep.. I had it wrong. What we need is a genuine Dash Y bike bike that appears in the inside covers of the shipping register. That is still not proof that two bikes shared the same number though.... it may just be that that particular bike was shipped twice. (As unlikely as that may be). Last edited by Kevin (NZ). ; 12/17/11 6:15 am. No worries, I know we're pretty close to being on the same wavelength here. Originally Posted By: Kevin (NZ). I was trying to say that those bikes showing as shipped in 1967 do exist. We have a dating certificate for Morgan's old Spitfire for example. By far the majority of those original Dash Y bikes must have been shipped on time during the 1967 production run. They would have one shipping date only at it will be sometime in 1966 or 1967. Certainly the majority of the Spitfires and Hornets were shipped on time. Many Dash Y Thunderbolt and Lightning owners are saying that their bikes were on the roads and being ridden during 1967. I have a Dash Y A65T and it would have been shipped normally. Remember we now know that the shipping strike story does not play any part in the Dash Y engine suffix. I am going to contradict myself here in a minute. I am now thinking the normal Dash Y bikes were shipped and only appear once in the despatch books. Indeed it may be that the majority of the 650 twins of that year had the suffix anyway. I don't think the Dash Y is actually recorded in the despatch book. Gary would know as the Hornets had the engine suffix and he has a register of them. So we are left with the early shipping date for a later Y bike as our dilemma. Take Bruce's bike for example. We are all decided it is a Y bike of 1969...and the Dating Certificate states that it was shipped on August 18th 1969. That is fine and dandy.... Great. But then we have reference to the other shipping date, November 10th 1966. What is that all about ? Now these are the entries that appear twice in the shipping book. Gary is saying that every bike that is recorded on the inside covers has been transferred from the pages within the ledger. What became of A65LA77XX shipped in Nov 1966 ? Rich B has told us that his dealer friend was selling every BSA he could his hands on during 1967. We know there was no strike, we have no reason the bike was not exported on time. I am convinced BSA were not playing with the numbers during 1967.... I think that came later. I don't see any link between 'Dash Y' and 'Y' bikes. Apart from the fact that BSA chose to stamp the 1970 models in that style because they had already generated the confusion. Gary has told us the Dash Y suffix is to advise or the 3-line oil manifold. I was wrong with my statement. I stand corrected. Two Alpha has it correct. The dating certificates for the later Y bikes are trying to indicate that they were despatched earlier also. From this we can determine that the 1970 "Y" bike numbers were spread across the entire range of numbers for 1970. We know Bruce's is a 1969, apparently built just before the start of the 1970 production run. If these 1970 bikes were replacing destroyed or otherwise disposed of 1967 bikes, those 1967 bikes would have generally been from the second half of the production year based on those serial numbers. If Kevin's estimate of 10% of the 1970 production is near correct, that would put the total number of 1970 "Y" bikes at somewhere near 800 or so. This would be less than 5% of the total 1967 A65/A50 production, and maybe 7% of the total 1967 "-Y" bikes. Something necessitated BSA using those 1967 numbers on bikes being manufactured for the 1970 season, and I am extremely doubtful that they would intentionally use the same serial numbers as 1967 bikes that were actually out and about in customers hands. That would be just too foolish. For some reason, the 1967 bikes that those numbers had been on had been taken out of circulation. Now, I'm going to hazard another guess that some of these 800 rejected 1967 "-Y" bikes were revived, the "-" was over-stamped with a "0" which resulted in a 100,000 series "Y" bike, and sold off in 1968, or perhaps even 1969. The BSAOC seems to have some information that alludes to this. How many of these 100,000 series bikes are there? I've got one, and Kevin has previously supplied a picture of another. The BSAOC's story regarding the 1969/1970 "Y" bikes having been originally built in 1967 and being re-despatched a few times, it has to be off base and it has resulted in them providing wonky info on their Dating Certificates. Their story seems to have come from seeing what looks to be the same serial number in two places in the despatch book and assuming that they are the same bike, when they're not really the same number, one's a "-Y" and the other is a "Y". One was built in 1967, and the other was built in 1969/1970. I do not concur. There are no -Y entires in the books. The -Y is only on the engines. There are no Y entries in the main pages of the books, only on the inside front and rear covers of 2 of the 3 '67 books. If there is belief that there are two machines out there with the same number, ie '67 and '70, then there should be 3 machines out there with the same number, ie '67, '68, and '70. LA 12212, used as an example, had three dispatch dates, two dates in the main pages, and the third date on the inside cover. Until I see actual evidence otherwise, such as pictures, my interpetation of the production books suggests one machine per number. Thanks for that clarification Gary. It doesn't mean that my theory above is incorrect though, just that the "-Y" is not in the books but it is on the engines. Not necessarily, we know the 1967 and 1970 machines are not the same, we also know that their numbers are not the same. As in the example LA 12212 versus LA 12212Y, on the bike or in the book. The 1967 and 1968 bikes had exactly the same number, say LA 12212 (with a "-Y" on the engine only), they were, in all likelihood, the same bike. After the 1968 despatch, something happened that resulted in BSA effectively getting that serial number back. The serial number was used again, on a different bike, for the 1970 season, this time with a "Y" on the end to indicate that it was not really a 1967/1968 bike, even though the LA 12212 number was there to make it seem like it was. It is possible/probable that none of the earlier bikes, with serial numbers that were used again for the 1970 season, ever made it into a consumers hands. Not in 1967, and not in 1968. Perhaps BSA just gave up on trying to flog these bikes at that point and dismantled what was left for parts. I very much doubt that complete bikes, one from 1967 and one from 1970, with the same serial number, say LA 12212 and LA 12212Y, were ever in existence at the same time. That 1967/1968 bike would have been gone before the 1970 bike ever saw the light of day. I've tried to make sure that all of my speculations jive with information you have shared with us Gary. Your insight into what is in the actual despatch books is greatly appreciated. The current conversation is mainly about the Y bikes. Those bikes are of a different situation than the -Y bikes. There were no -Y bikes in '69/'70, only in '67.